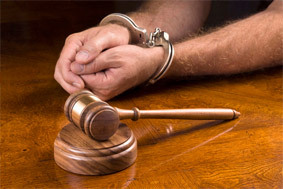 When most people think of serious criminal charges, driving with a suspended license may not come to mind. In New York, however, this offense lands many solid citizens in jail and carries other severe penalties. 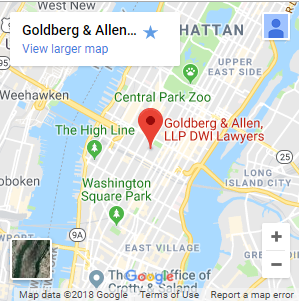 At Goldberg & Allen, LLP, we are dedicated to helping you reach the best possible outcome in your case. To contact our attorneys to talk through legal options, give us a call at 212-766-3366. We offer a free initial consultation. New York AUO laws are intended to prevent accidents, but they also blindside many drivers who do not realize they are under suspension or underestimate the consequences of an AUO arrest. As New York City aggravated unlicensed operation lawyers, we have handled numerous cases involving failure to deal with one or multiple traffic tickets, the lack of a lawful, certified suspension notice and other issues. In one case, we represented a driver who was wrongfully arrested and jailed for AUO in a civil action. We are not “quick fee, quick plea” lawyers. We ask the right questions and get solid information relevant to your defense. We know the intricacies of the law and the flexibility judges and prosecutors have in major traffic crimes cases. To speak with a lawyer who will offer solid insight and fight an AUO charge or negotiate for a reasonable outcome in your case, contact us online or call 212-766-3366.